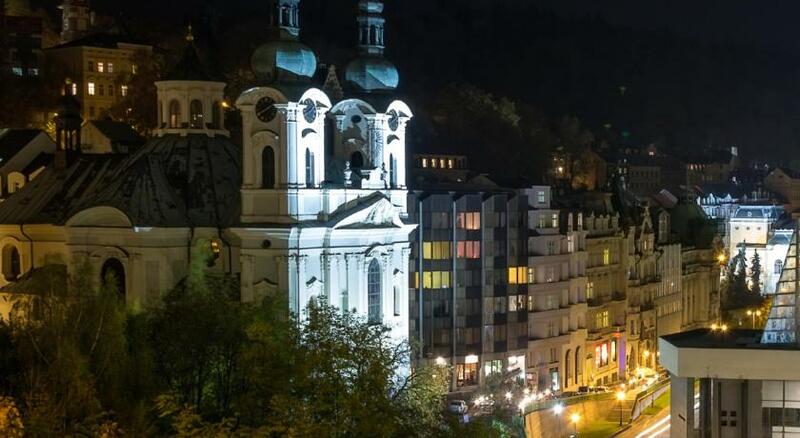 Lock in a great price for Hotel Imperial – rated 8.6 by recent guests! Beautiful hotel with amazing views, great breakfast and comfortable bed. Excellent hotel, discrete service , extremely clean. They were polite to cancel the additional pet charge when gently reminded that this was not mentioned in the original offer. The location, the panorama, calm place, the breakfast food, the pool, jacousi, sawna and the cable car to the center. Nice view form balcony to see all the city. Delicious meals, especially Sea Food which I like too much. Very good and established resort for spa and health care tourism. Clean and cooperate staff. 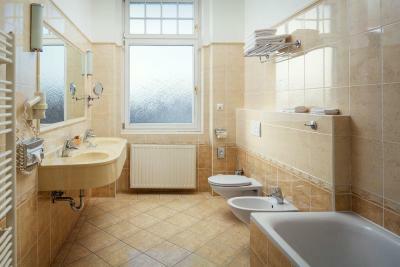 Loved the amenities, cleanliness, location is nice and quiet. Hotel Imperial This rating is a reflection of how the property compares to the industry standard when it comes to price, facilities and services available. It's based on a self-evaluation by the property. Use this rating to help choose your stay! 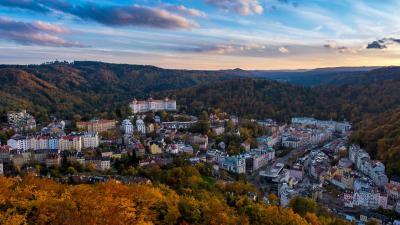 One of our top picks in Karlovy Vary.Built in the early 1900s, Hotel Imperial is a well-known landmark in Karlovy Vary. Its award-winning spa center offers an indoor pool, and the restaurant hosts cooking shows. Rooms here come with a satellite TV, a mini-bar and free internet access. There is a small seating area in each room. National cuisine is served at the nonsmoking restaurant. 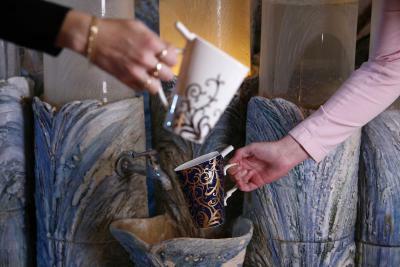 Café Vienna offers traditional desserts and coffee specialties. In the evening, live music and cocktails are offered at the Imperial Club. Spa therapies at the Imperial include carbon dioxide baths and beauty treatments. 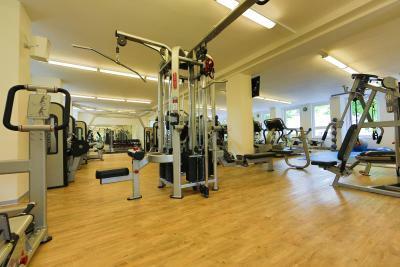 There is a hot tub, sauna and fitness room. Bathrobes and slippers are included in the price. Other services offered at the property include a hairdresser`s, manicure and pedicure, as well as the possibility to book trips. There are 4 tennis courts which can be booked at the sports center. 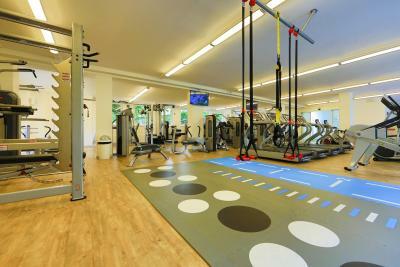 Guests can also rent bikes and helmets or book Nordic Walking directly at the hotel. When would you like to stay at Hotel Imperial? These rooms have satellite TV, pay-per-view TV, free Wi-Fi, a mini-bar, a bathroom with a toilet and bidet, a safety box and free basic toiletries, hotel towels, a bathrobe and slippers. Rate includes: welcome drink - free entry to a swimming pool, hot tub and sauna - free selection of alcoholic and soft drinks at the restaurant. These spacious rooms have satellite TV, pay-per-view TV, free Wi-Fi, a mini-bar, a bathroom with a bath, toilet and bidet, a safety box and free basic toiletries, hotel towels, a bathrobe and slippers. Please note that the room has twin beds which are may be put together as a double bed. Please note that the room rate is based on 2 guests. Maximum occupancy is 3 guests (see Children and extra beds policy). This twin room has a satellite TV, soundproofing and mini-bar. Please note that the package is available to guests from 15 years of age. Please note that the hotel offers special packages for children from 4 years of age with minimum length of stay 5 nights. For more information please contact the property. This single room features a bathrobe, satellite TV and soundproofing. This twin room has a soundproofing, seating area and mini-bar. - entry examination by M.D. This soundproofed room features satellite TV, a mini-bar as well as bathrobes and slippers. You can extend your stay with an extra night at a favorable rate (with a 25 % discount of the hotel accommodations rate). Caution: Because pregnancy is considered as contraindication pregnant women can choose only from a limited list of procedures. If you are or might be pregnant, please inform the staff about this fact beforehand. The hotel offers special packages for children from 4 years of age with the minimum length of stay 5 nights. For more information please contact the property. The room has twin beds which may be joined together as a double bed. Entry to a swimming pool, hot tub and sauna are available for a surcharge. This suite features a bathrobe, seating area and soundproofing. Rate includes a free selection of alcoholic and soft drinks at the restaurant. House Rules Hotel Imperial takes special requests – add in the next step! Hotel Imperial accepts these cards and reserves the right to temporarily hold an amount prior to arrival.